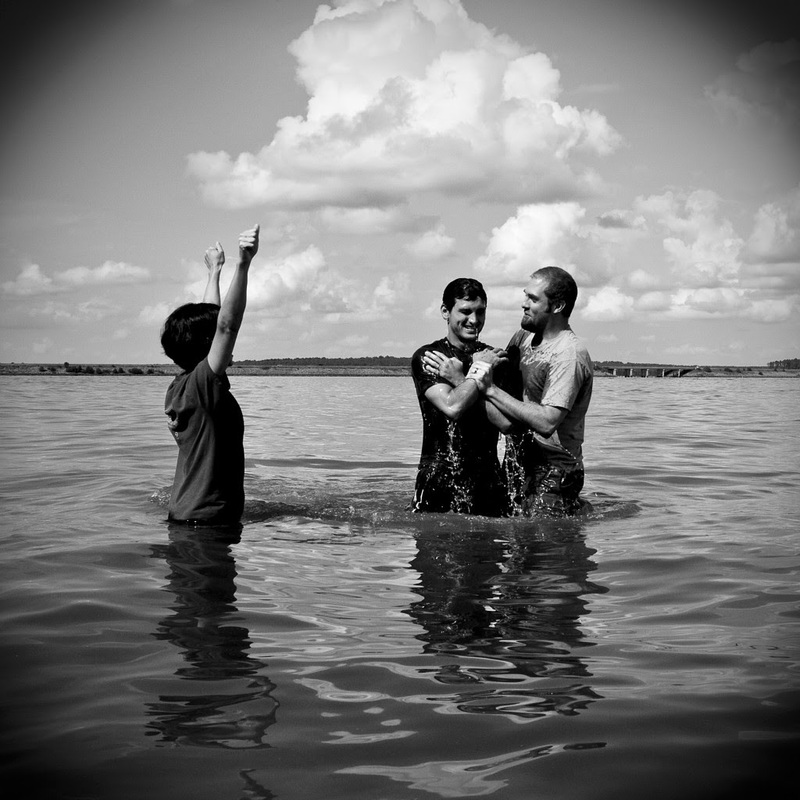 Timothy Ministry: Is Baptism Essential for Salvation? The following is a response to someone who argued that while it is the blood of Christ that washes away our sins, it is baptism that puts us into contact with the blood of Christ, and that therefore baptism is essential to salvation. I completely object to the idea that we get into contact with the blood of Jesus Christ through baptism. That is a magical, rather than a moral, view of salvation. We are talking about forgiveness. God is forgiving in His character. He is forgiving toward sinners, and sinners are reconciled to Him the moment they put their trust in His grace revealed in the cross of Christ. We realize we are in need of reconciliation, and we find all the obstacles in the way of reconciliation removed in the sacrifice of the cross and there alone. God does not require water to forgive. He forgives those who hope in His mercy on the basis of the cross. It is evident that baptism does not connect us with forgiveness because Abraham was not baptized, nor any of the forgiven saints of the Old Testament, nor the thief on the cross, nor the paralytic on the mat who was lowered through the roof, nor Zaccheus, nor the woman caught in adultery... Cornelius' household was reconciled to God before they were baptized, and the Philippian jailer was expressly told that in order to be saved he only needed to believe in the Lord Jesus Christ. Baptism was practiced and baptism is important, but it is not what connects us with the blood of Christ and the forgiving heart of God; if we think so, we are missing the point and are making Christianity into an unreal, impersonal and magical religion. I do not believe Romans 6:3-5 is talking about water baptism. In his discussion of justification throughout chapters 1-5, Paul never once mentions water baptism but speaks only of faith in Christ, and these verses in 6:3-5 are summarizing all that He has been saying. The baptism he is referring to is our spiritual union with Christ (see verse 6ff: "crucified with Christ", "dead with Christ; obviously referring to our spiritual union with Him), which is of course pictured by water baptism. If baptism were essential, then Paul would never have said: "For Christ sent me not to baptize" (1 Cor. 1:17). Paul understood that salvation was all about God's forgiving heart toward mankind revealed in the death of Christ for our sins, and about people putting their hope and trust in God. No one who is trusting in Christ will ever be ashamed simply because they were not water baptized. Christianity is a moral religion, not a magic one.